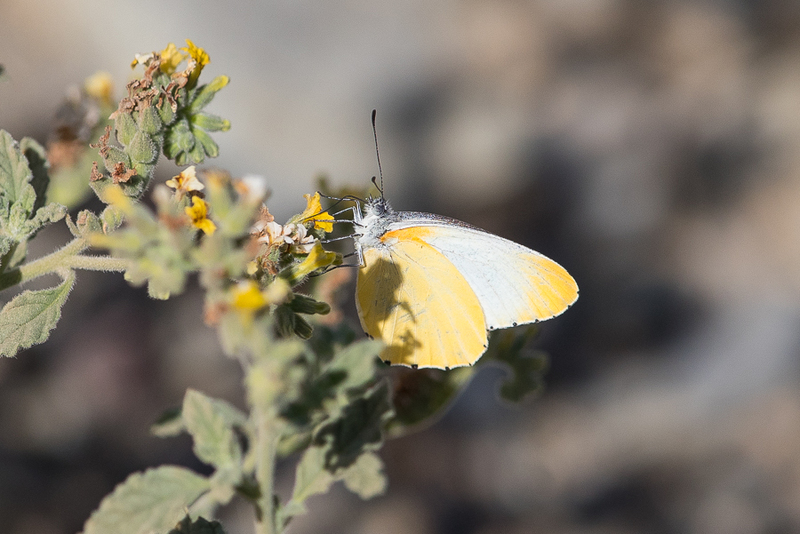 Whilst birdwatching the bottom valley of the Raydah Escarpment in the Asir Mountains of southwest Saudi Arabia, I came across and photographed an Arabian Mistletoe White Mylothris arabicus. 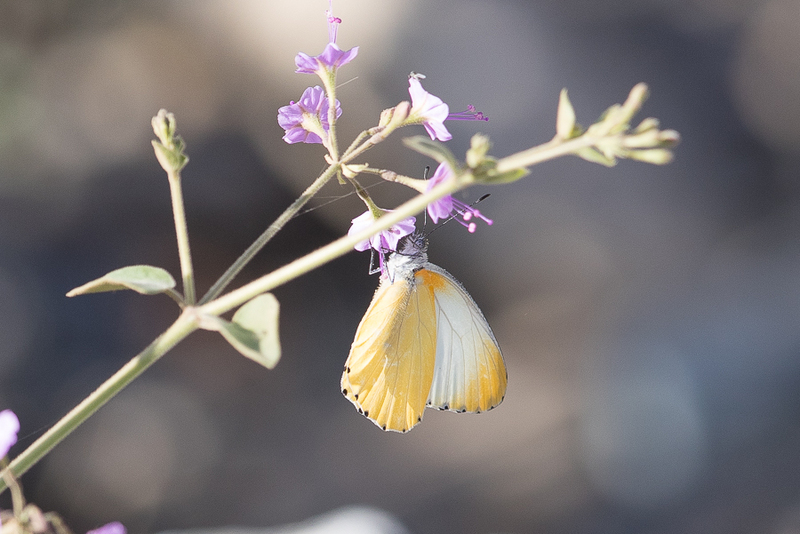 It is a butterfly in the Pieridae family and belongs to an African genus which is more or less specialised for life in the rain forests where there are many species. One African Mistletoe White Mylotheris chloris is adapted to savanna conditions and the Arabian species evolved from this African relative. 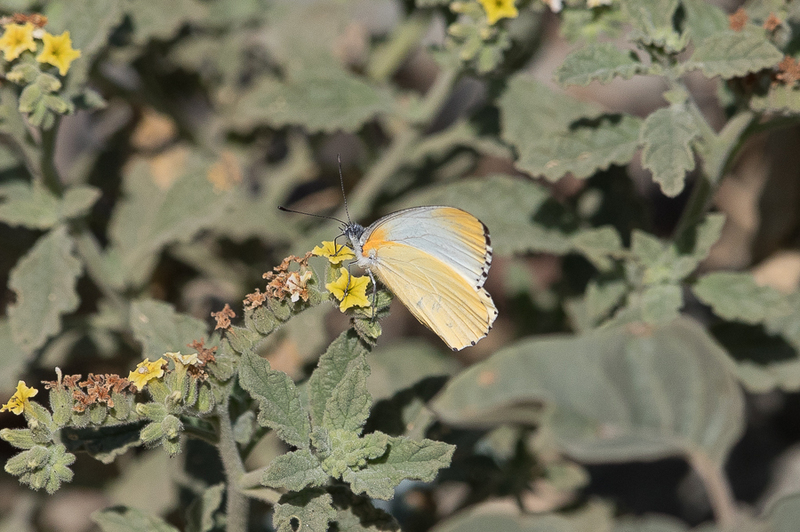 They are found in the southern Asir Mountains of Saudi Arabia and in Yemen making them endemic to Arabia. 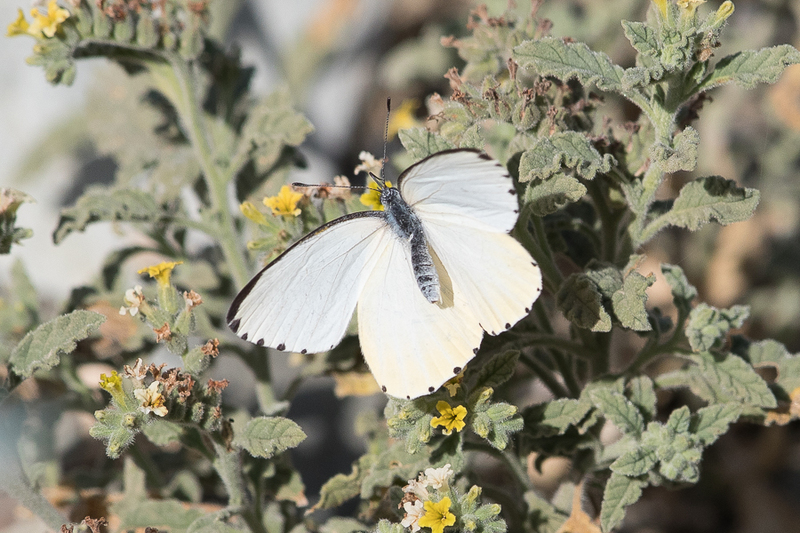 Larsen says the Mistletoe White is one of the most unexpected African species found in Arabia. Some people class the Arabian Mistletoe White as a subspecies of African Mistletoe White.